I’d had a few good weeks of training with countless days out in the hills, pushing myself at circuits and focusing a lot more on my core strength and my confidence was on the up again. Sometimes all it takes is a nice windy run in the hills with some like minded friends! 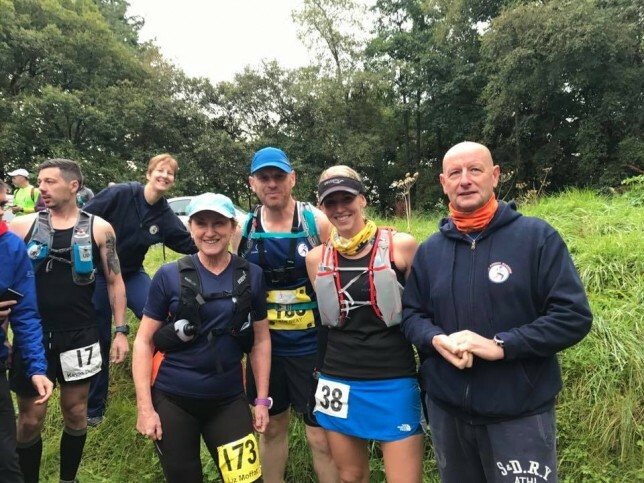 🙂 My last big races of the year were to be the River Ayr Way, followed 4 weeks later by the Loch Rannoch Marathon and then my season finale of Glen Ogle (round 5!) 3 weeks after that. A big ask for my slightly under trained legs, but something I think I need to get me back on track for an even bigger push next year. Kit prep. Always important to make sure you have a good nights sleep and an easy morning before the race! 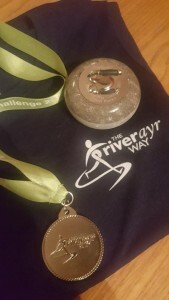 The day of the River Ayr Way race came and I felt calm and in control. No pre race nerves (well, not until I was toeing the line, but that’s a given! ), and everything was packed and ready to go, so just before 7am I drove down to drop off my car in Douglas before being picked up and driven to Glenbuck with some club mates. We’d got there nice and early but already parking was causing some drama and the farmer zooming about on his quad bike didn’t look too impressed. 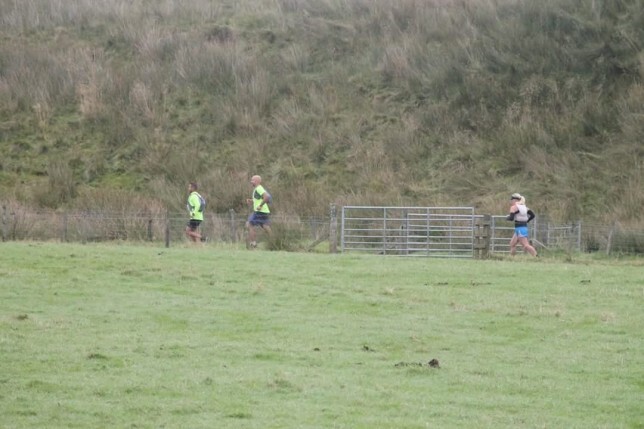 Mind you, neither would I be if you had nearly 100 runners using your land as a toilet. Maybe an idea to have a couple or porta-loos at the start for next year? 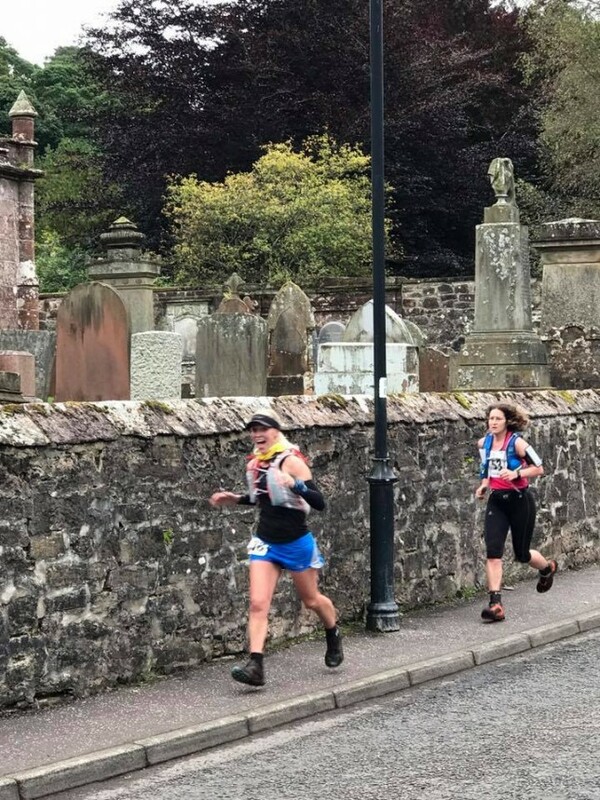 After a very quick briefing and catch up with a few familiar faces on the start line we were on our way, racing the 40 mile route back to the coastal town of Ayr. 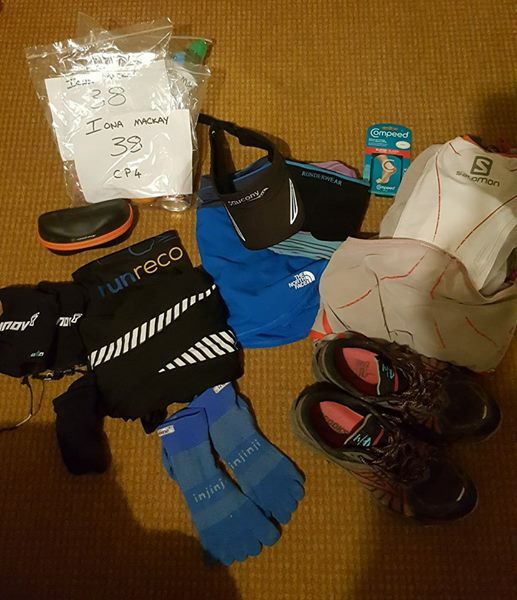 I’d turned my watch onto the “run a route” function as even though I felt like I had a good idea of the route from running it last year, I knew there were a few tricky bits where paths go off in a number of directions and there’s no obvious markers as to which way you have to go. With my watch on this function I could only see an arrow following a line and I had no idea of my pace, distance or time and this was the best decision I made that day. No pressure on time, just the mental focus to run a strong race. The first few miles whizzed by. The flat section along the old railway is where the pack really spreads out straight away as everyone finds their own pace. 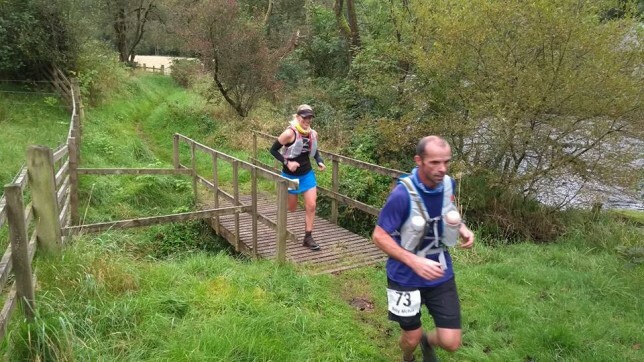 I found myself hurtling along again and within a mile was ploughing through muddy puddles and squelchy bogs. I knew what was coming later in the race, so trying to keep my feet dry wasn’t even considered! 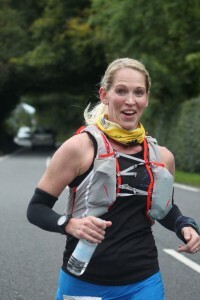 I was catching up with people and overtaking every so often but maintaining a pretty consistent pace and feeling strong. Everyone was in high spirits and a few people mentioned they’d read my blog and thanked me for letting them know what lay ahead! The first check point came and went and I’d eaten very little of what I had in my pack, so ran straight through and bounded along the next section of riverbank. 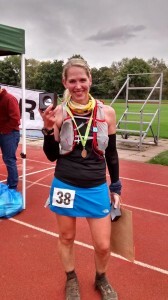 It was muddy, it was squelchy, it was a tough slog on the legs… but it was brilliant and I was feeling strong. 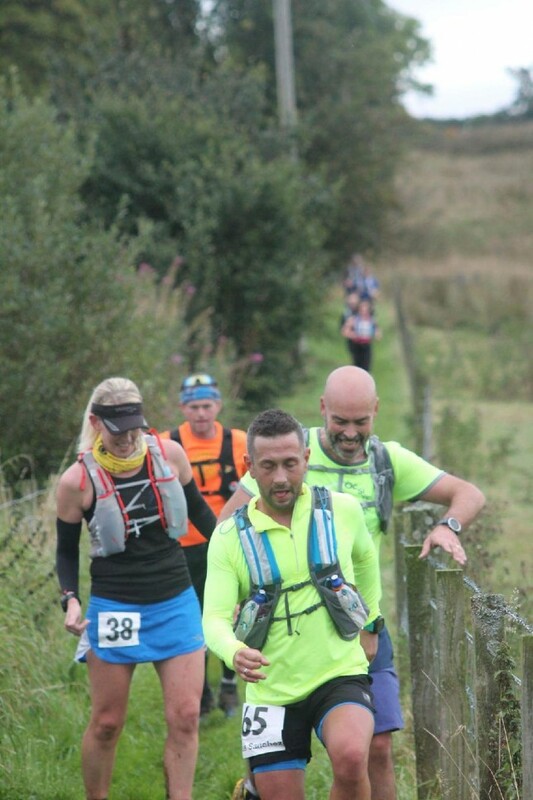 I had been running with the same people since about 7 miles in and had been enjoying their chat, but they soon pushed on ahead as we came off a hill around 13 miles in. I wasn’t risking falling on my bum just yet, so as they flew off ahead I took my time and teetered carefully down the muddy embankment. I was having an absolute dream run; nothing hurt, I didn’t feel queasy or hungry, my foot wasn’t giving me any bother and best of all I was feeling positive. I knew I could do well and I was working hard to stay ahead of the lady just behind me and try and to catch people further ahead. Hello run mojo, I’ve missed you! 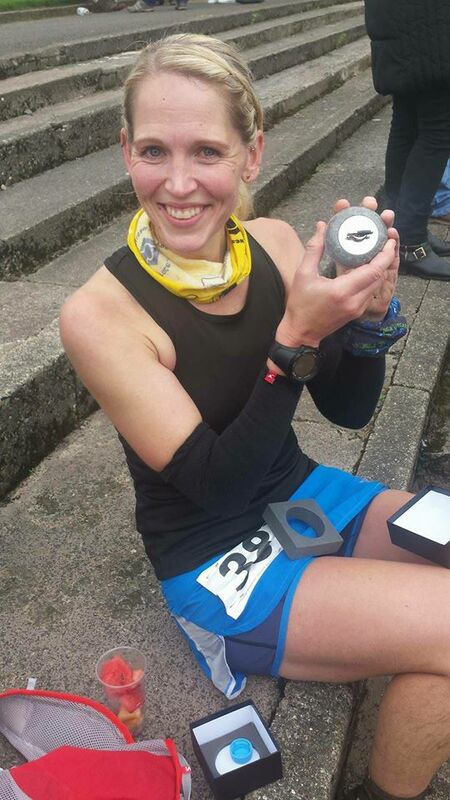 I was met with cheers and smiles as I came into the second check point where I quickly grabbed a wee can of coke and some more cheese and pushed on up the tarmac, trying to reel in the runner who was just a few hundred feet ahead of me. As we wound our way round the roads and fields I over took a few more people and started to wonder what on earth was happening. Still feeling strong and confident and no sign of the usual shoulder pain/sore stomach/crisis of confidence or questioning why I was doing this. I knew the road section wasn’t too far ahead which I absolutely hated last year, but luckily no one tried to mow me down this year and I bounced into Failford feeling pretty happy. The last few miles are a bit blurry, apart from the boggy hill. That will stay ingrained in my mind (and probably under my toenails) for quite some time!! It was so wet, so deep and so slippy and the only thing to hold on to was a barb wire fence along the side. Queue swearing and lots of sliding around and I’m so glad I was by myself, I must have looked ridiculous! Finally out the other side I tried to shake some of the mud off my trainers as I now had about an extra kilogram of crap attached to each shoe and it wasn’t helping my already zapped legs. The last check point came and went and it was then a case of digging deep and finishing the race without letting myself slow to a walk. The route follows a cycle path and then a minor road before spitting you out next to the A77 for a couple of hundred metres until you turn off and follow the river to the finish line at the Dam Park stadium. I’d just passed another runner and I was working hard to keep my pace up as I knew I had less than a mile to go. Finally I rounded into the stadium for a lap of the track and fell over the line to be met by my mum and some running friends. 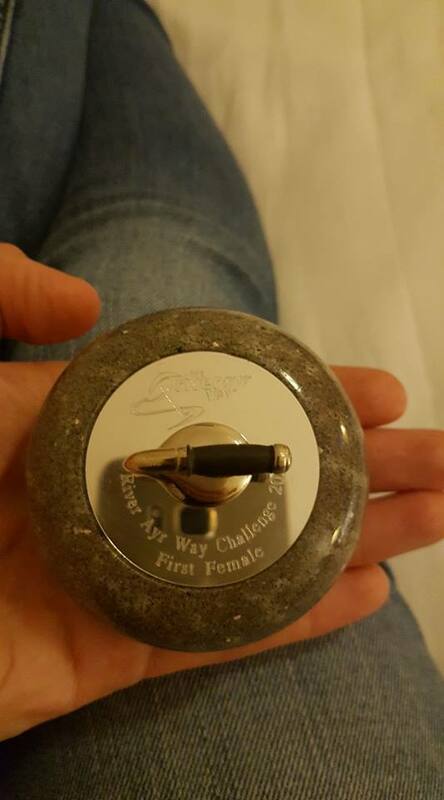 I was absolutely elated to not only take nearly 40 minutes off my time from last year but also to finish first lady overall. My first ultra win! I was completely delighted and quite overwhelmed! My mum had booked us a hotel for the night so we had a good celebration with quite a few fizzes and a delicious meal. A week later I’m still on cloud 9 and feeling ready to get back to training with gusto. Big shout out to my ever present training buddies who love nothing more than a chilly day in the hills and of course Neil MacNicol for the training plan. No more skiving speed work, I promise! !